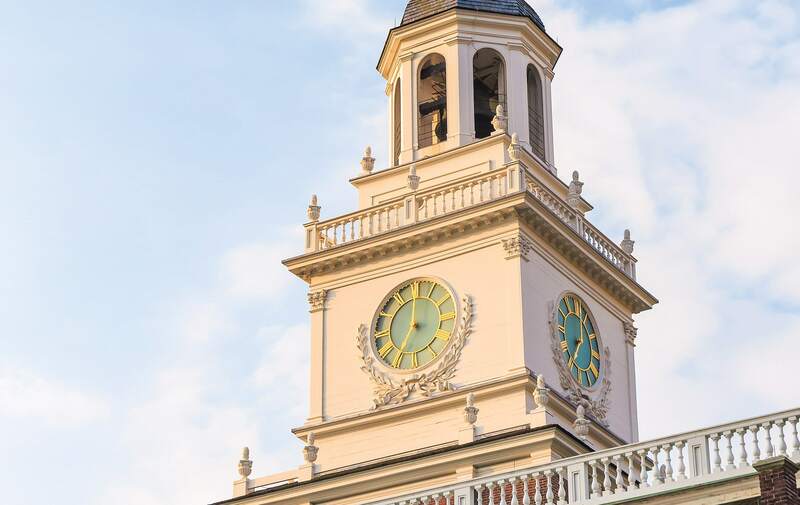 The Seth Thomas Clock Co.’s largest work was a centennial tower clock for Independence Hall in Philadelphia, completed on June 24, 1875. The clock cost twenty thousand dollars and its bell weighed thirteen thousand pounds. The clock was replaced in 1973. In our modern world, we have lost touch with how things work. Our digital devices seem to make life easier, yet when they no longer function, we have a sense of panic and run off to replace them as quickly as possible. The old devices end up in the garbage. We seem to live in a throwaway culture, but in simpler days, we fixed things, patched things, and improvised. Figuring out how things work makes less waste. In 1962, seven-year-old Roger A. Reed went into his family’s attic to explore. In the shadows, there was an old clock. To the boy, the turn-of-the-century mantel clock looked more like a place than a timepiece. Its well-built, carved wooden case and Romanesque pillars on the front seemed magical to the child. He claimed it for his own. At more than a half century old, its age and wear showed, but Reed patiently dusted it off, reassembled its pendulum, and used his father’s oil can to oil the works. The clock was restored to a new life by the boy and stayed ticking away the seconds and minutes for the next three decades. The 1906 Seth Thomas Adamantine mantel clock had been a gift to Reed’s grandmother in the same year. She would have been turning thirteen; it was likely a gift bestowed to her on her Roman Catholic confirmation. 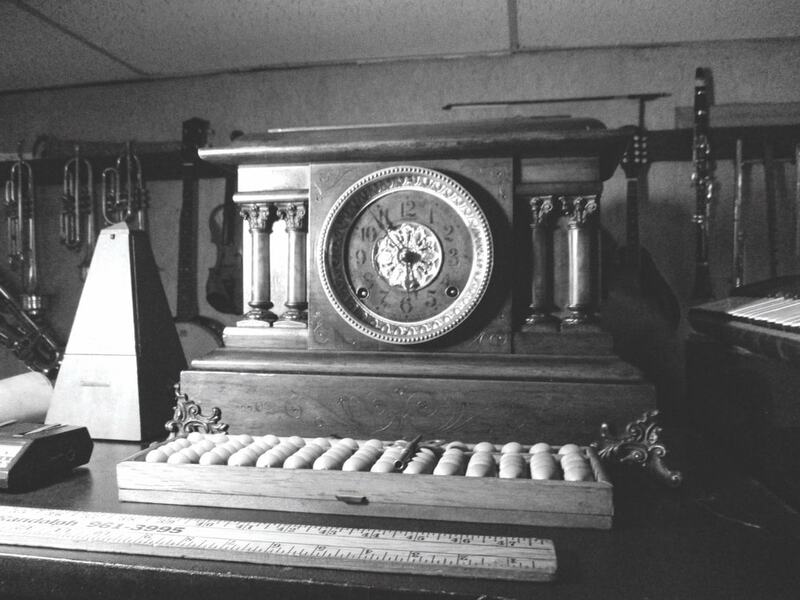 In 1990, after the passing of his mother, Reed took the clock from his family’s home and handed it into the care of his aunt. He figured it had belonged to her mother, so she should have it. When Reed inquired about the clock again in 2009, his aunt relayed that he could have it. It had been sitting in her basement, and once again, it was in a state of neglect. The clock was stashed away in a plastic bag; it had mildewed, the glass door on the front had fallen off, the pendulum was in pieces, and the mainspring was wound up as tightly as possible and had rusted. Reed reflects that the clock had probably missed him and that it was in a worse state than when he found it as a boy. Determined to restore the clock once again, he set to work. After delicately cleaning and applying several kinds of oil, including compass oil, tapping gently with a small screwdriver blade and hammer between the coils of the rusted mainspring, and swinging the pendulum painstakingly by hand, he was able to get the overwound mainspring opened up. Within a week, he had the clock running again. 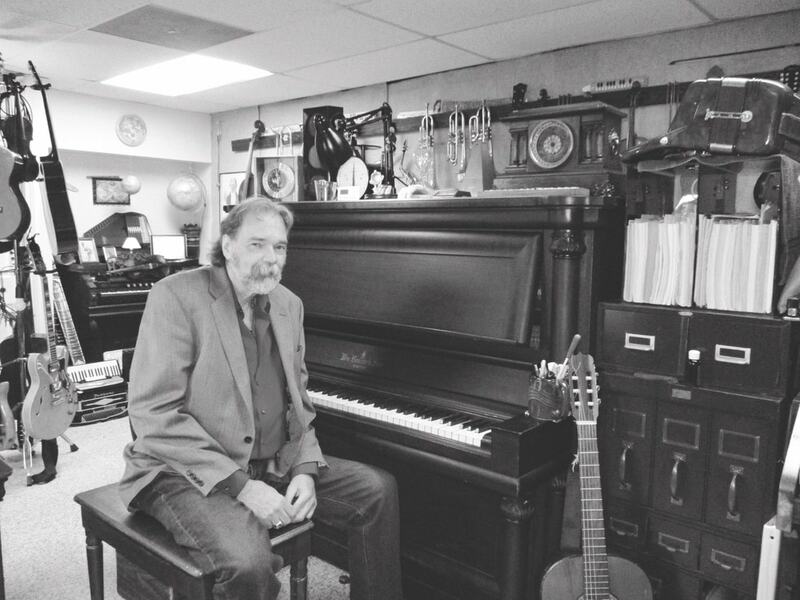 Reed’s background includes, but is not limited to, playing around with player pianos and other instruments, phonographs, two-way radio systems, printing, painting (houses and, more recently, art), tape recorders, cylinder machines, music boxes, and more. Upon examining it, one can imagine both grandmother and grandson as children being mesmerized, daydreaming of the palace of cogs, wheels, springs, and chimes hidden inside, waiting to be explored like a puzzle. It’s a piece of machinery that is at once sophisticated and simple, functional and artistic. A few years later, the clock once again stopped working. By running it, studying its behavior, and listening closely, Reed learned that the escapement wheel was getting stuck on the thirty-ninth cog. By gluing a washer underneath where this gear rotated to compensate for wear on the bushing, he was able to get the clock to keep running past that thirty-ninth cog tooth and it once more kept time. Patience and persistence are precious commodities in this modern age. “I am almost always more pleased with the results of whatever my endeavor is if I’ve found the patience necessary to do the thing correctly,” Reed remarks. The clock sits in a place of honor in his music studio—on top of his piano, where his students are treated to its bells and chimes every half hour. The beautifully detailed wooden case is “nature’s amplifier,” Reed explains. The sound is astounding for the clock’s eighteen-by-twelve-inch size. Reed poses proudly with the clock that once belonged to his grandmother, now a special centerpiece in his music studio. His grandmother’s clock was 112 years old this past April. Reed never met his grandmother. She was also a piano player—quite a good one, he’s been told—and died eighteen years before he was born. How delightful that her clock sits atop her grandson’s piano, standing watch over hundreds of students learning to create art from wood, strings, and brass. This piece of history is both personal and valuable, and it is maintained with reverential focus and care. Its ethereal sounds and elegant lines spark the imagination. Upon examining it, one can imagine both grandmother and grandson as children being mesmerized, daydreaming of the palace of cogs, wheels, springs, and chimes hidden inside, waiting to be explored like a puzzle. It’s a piece of machinery that is at once sophisticated and simple, functional and artistic. Some people are born explorers, puzzle solvers, and dreamers. These are the ones who keep the world ticking along. They seek to understand how things work. They are fearless tinkerers. Once upon a time, we were all like that. It was a necessity in life. “What will happen to the clock?” I query. Maybe the real value in a thing is not in how much we buy or sell it for, but rather whether we care for it, fix it, patch it, use it, and make memories with it. Reed is the composer of over 1,700 works of various types and in numerous genres: rock and roll, jazz, country and western, blues, ballads and other types of songs; works for orchestra, pipe organ, and string quartet; ballet, modern, and tap-dance music; and minimalist electronic and musique concrète. Reed’s commentary and photography have been published in Dancer magazine (“Jimmy Slyde Lives in Our Hearts” in July 2008 and “How Tap Dancers Can Improve Their Bebop Knowledge” in October 2009). He is a writer member of the American Society of Composers, Authors and Publishers, and his work has been published by DSM Producers in New York City. You can reach him by email at Rognkath@comcast.net.